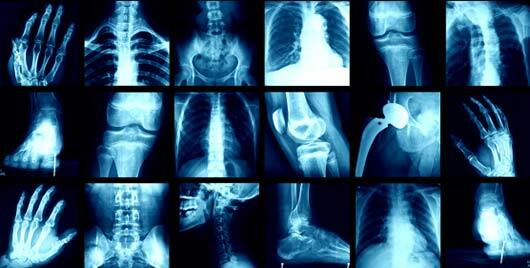 The most comprehensive online radiology study course available! The Chiropractic Radiology Study Guide is a limited license x-ray course designed specifically for health care workers who are asked to perform x-rays in a chiropractic practice. 2. Preparing eligible candidates to successfully sit for State limited licensure certification examinations. When you purchase Glacier Valley's online Chiropractic Radiology Study Guide, there are no books to buy, no classes to attend, and no travel required. Everything you need is included within the online course. Study from the comfort of your own home, or from work- wherever you have an internet connection. You complete the course at your own pace and you can come and go from the course 24 hours a day, seven days a week. There is no expiration time restrictions imposed by Glacier Valley- once you enter the course, you can take as long as you need to complete it. Please note: We do not organize or administer clinical placements. If your state requires clinical hours as part the requirements to obtain a state limited license, you must arrange for your clinical affiliation(s). You cannot get a college degree, or become a certified radiologic technologic technologist through any online or home study course. The only way to become a registered radiologic technologist is to enroll in an accredited two-year school of radiologic technology. However, in many states, you can be granted a limited license or permit, which allows you to perform specific radiology exams. Many students who are working towards a limited license or permit use our Radiology Study Guide course as their primary or supplemental curriculum. This course was designed with the assumption that the student taking the course has not worked in a radiology setting in the past. Although length of time to complete the course varies considerably according to each students background and study habits, we have listed the amount of time we suggest the average student spends in each section of the course so that a solid foundation of learning can be achieved. Some students complete the course in a fraction of the suggested time, while others take longer. The suggested reading times are included on the following course outline. The Chiropractic Radiology Study Guide course is divided into two main divisions: Academic curriculum and Clinical curriculum. These two main divisions are further sub-divided into 27 smaller sections, each with 10-20 pages of reading. 1. Academic Curriculum: 172 hours of reading. This includes the first 16 sections of the course including physics, equipment, radiation safety, technical factors, anatomy, etc. 2. Clinical Curriculum: 100 hours of reading and practice. This includes the final 11 sections of the course including positioning the patient and correctly performing the procedures. In some states, students are required to spend a certain number of clinical hands-on hours in a medical facility practicing and performing radiographic procedures as part of their state licensing requirements. You can check your state's requirements by using the "requirements" link at the bottom of this page). Suggested reading time to complete the Chiropractic Radiology Study Guide Course is about 300 hours (+/- 172 hours for the academic portion and +/- 130 hours for the clinical portion). Course Quiz: The quiz contains content pulled directly from the course. Once you complete the quiz and pass with a score of 75% or better, you will be forwarded out of this course to a page on our website where you can view and print your certificate of course completion.